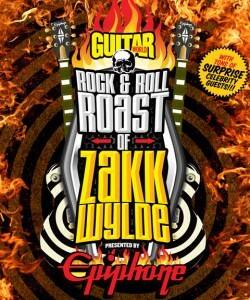 Too risqué for television (or even DVD), the Rock & Roll Roast of Zakk Wylde has turned into an underground sensation! Over three hours of hilarious content exists that documents this amazing happening that was the must have ticket from last year’s NAMM, but we are only allowed to show you these limited clips. Enjoy William Shatner and Stone Cold Steve Austin, just to name a few, as they skewer Ozzy Osbourne’s legendary guitarist Zakk Wylde.